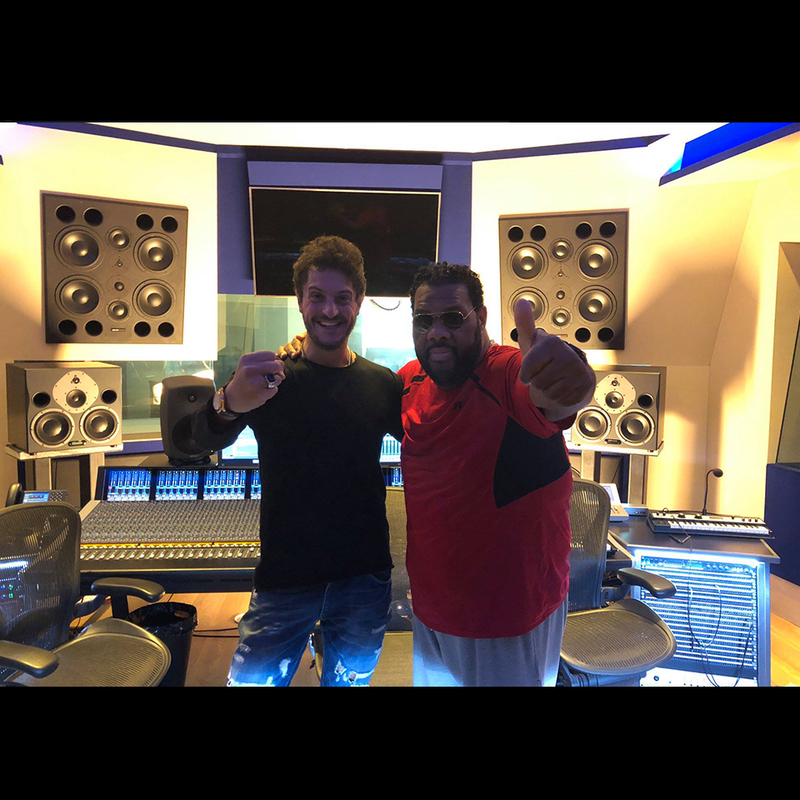 The hype man, promoter and radio personality famous for his on-stage rough and loud voice Fatman Scoop, stopped by our Studios to work on the new record of the talented Georgia Mos with the help of Dr. Shiver. Our American buddy has become known with the song “Be Faithful” , which dominated the UK and Ireland’s charts in 2003. Since then, he has collaborated with numerous artists, including Mariah Carey, Whitney Houston, Pitbull and Skrillex, just to name a few. We hope to have you in our Studios again very soon!